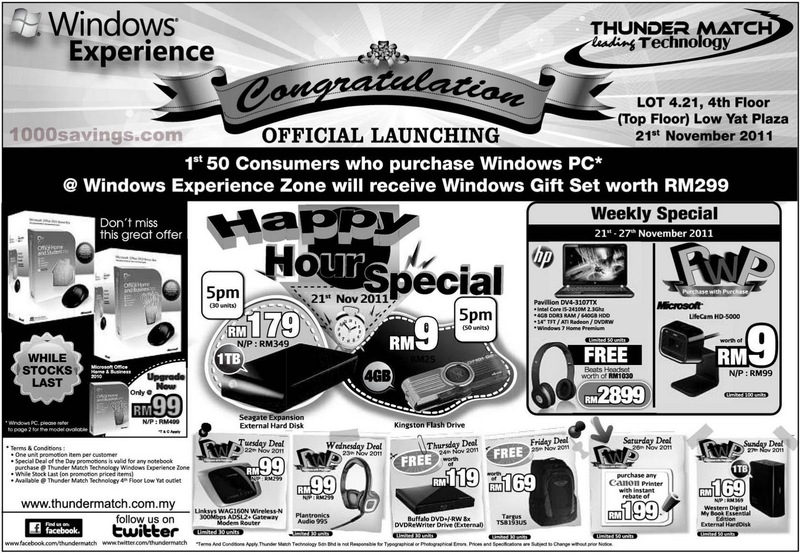 THUNDER MATCH official launching at Low Yat Plaza promotion! One unit promotion per customer. Special Deal of the Day promotions is valid for any notebook purchase @ Thunder Match Technology Windows Experience Zone.